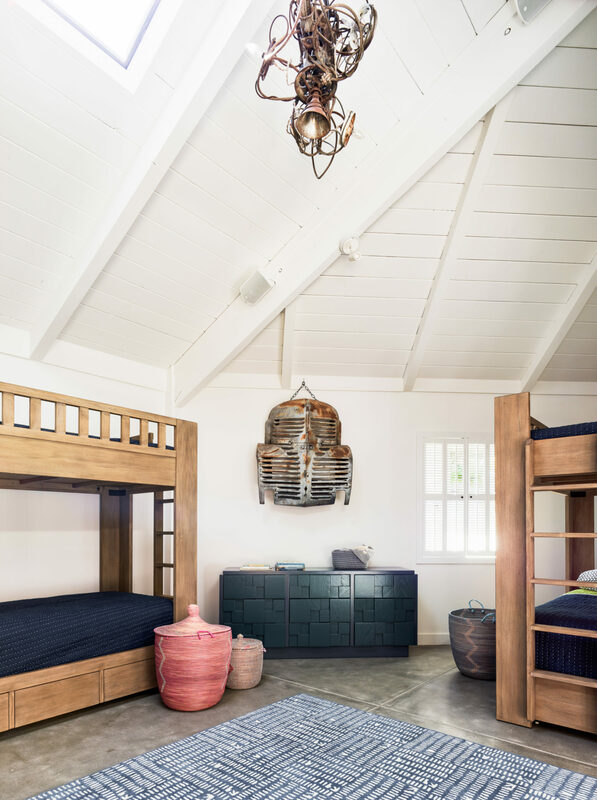 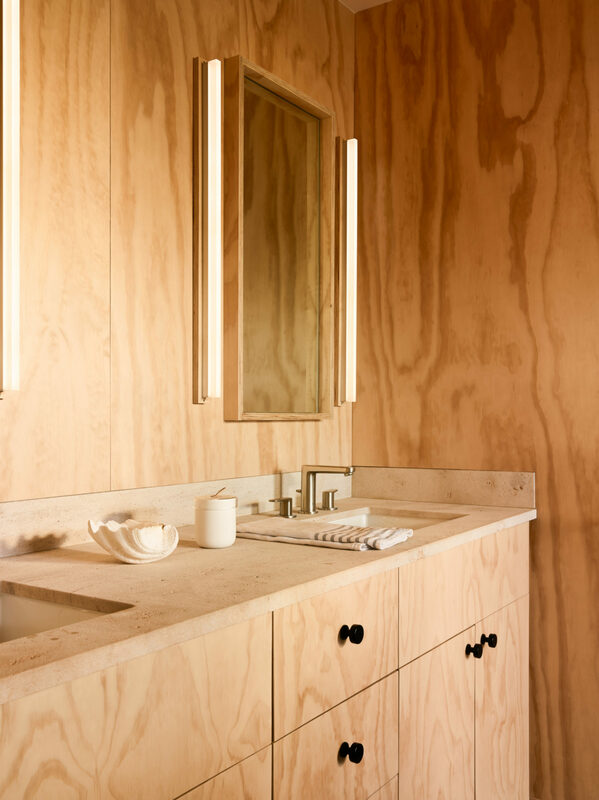 Faced with the challenge of renovating a home on the beach, Butler Armsden decided not to shy away from the water, but rather embrace it. 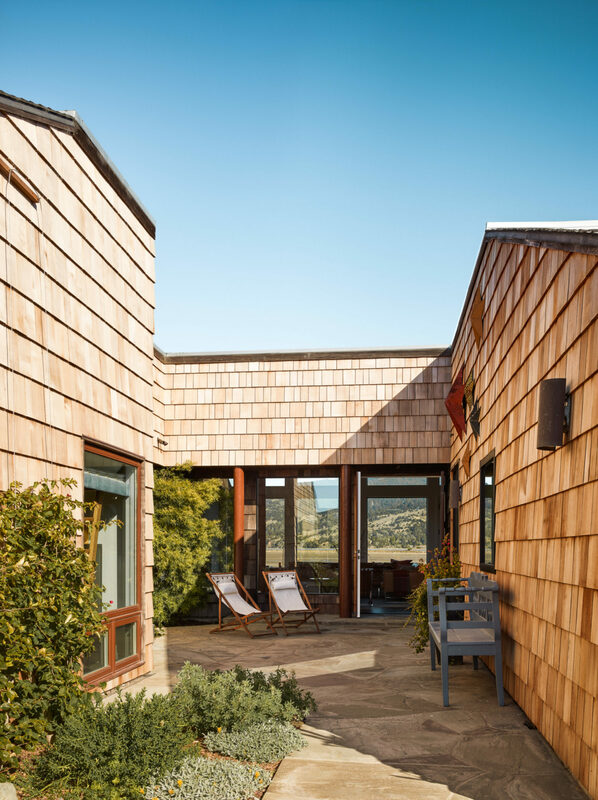 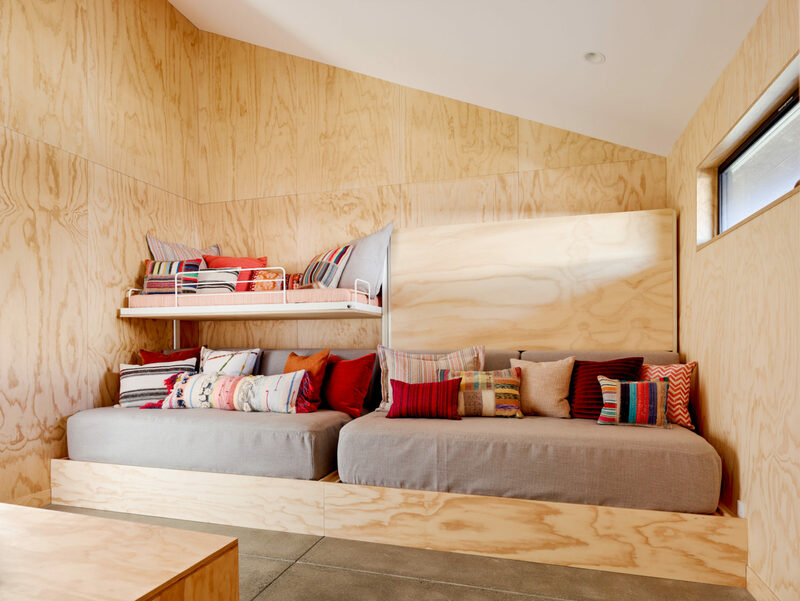 This house, located on the thin strip of land between Bolinas Bay and its lagoon, reaches out to the water from its back deck, which, along with a small courtyard in front of the house, sandwiches an interior living space lined with large, wood-framed windows. 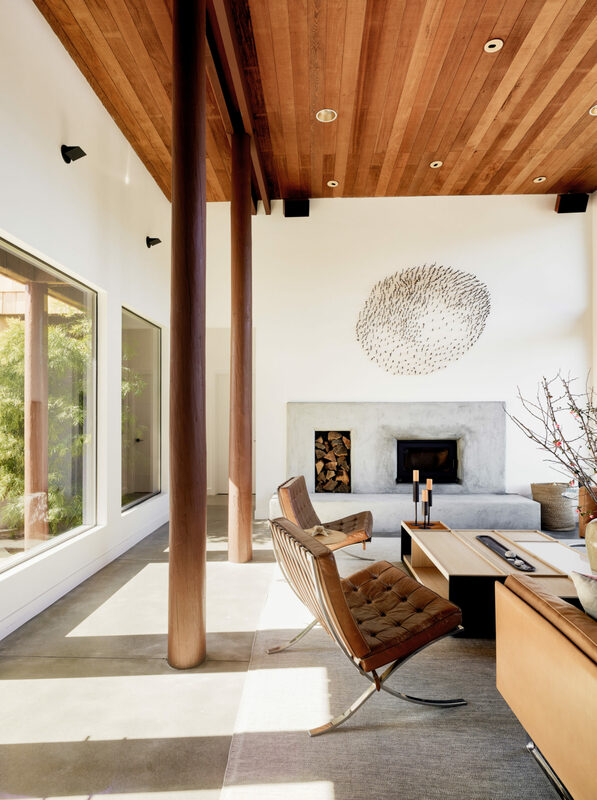 Extensive views of the bodies of water that cradle the site pass through these windows and all the way through the house, making themselves visible even from the street. 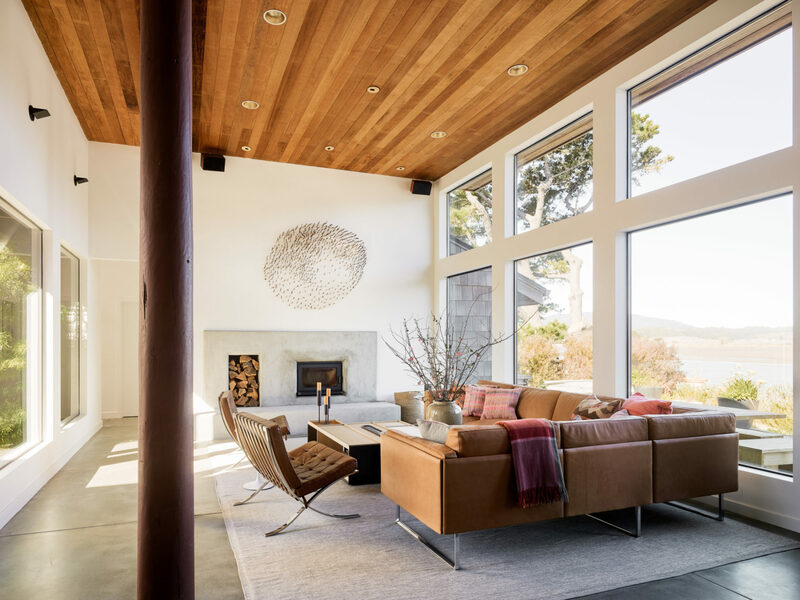 Contrasting the transparency of the living space, the house’s more private spaces, finished on the exterior with silvery wood shingles, are weighty and solid. 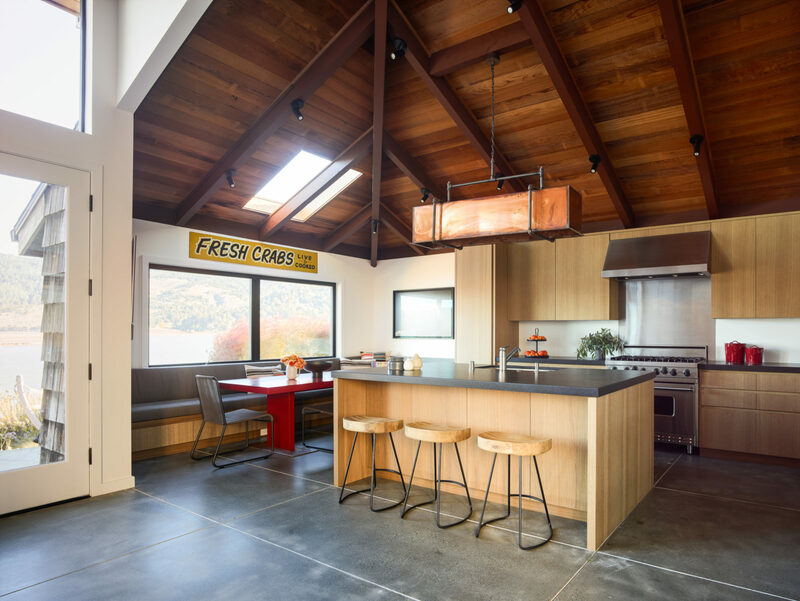 On the interior, wood surfaces — the plywood sheets lining the walls of the bedrooms, the blonde wood of the cabinets in the kitchen, the wood planks on the ceiling in the living space — and subtle tactile touches, like leather pulls and a soapstone counter on the bathroom cabinets, lend a sense of stable warmth and ground the experience of the space back to the land.